The Stroke Ward: A portrait of a century of life in the north east of England, told through the lives of six very different women by Tricia Coxon is a beautiful book. First of all I have to say that I know the author. However, she did not ask me to read her book and I bought my copy. I am absolutely delighted to say that I enjoyed it immensely. It is fiction, inspired by Tricia’s three week sojourn in a stoke ward in Northumberland when she began to imagine the lives and history of the women on the ward, their past and what the future would hold for them. All the women have different memories and are distinct characters. I felt I knew these women, that I was there in the ward with them, that I was inside their minds, living their memories with them. Meg is the one I was most drawn to. She can remember the past with vivid accuracy. When she was a small girl Meg’s father went on the Jarrow March to 10 Downing Street in London in 1936 to present a petition against the mass unemployment and extreme poverty in the north-east of England. When he returned Meg and the family were thrilled when Ellen Wilkinson came to tea – a special tea party. She was the local MP who had accompanied them on the March and had tried to improve their working and living conditions. But she is now confused about what has happened to her, hardly able to move, and suffering from anxiety and increasing dementia she needs specialist care. I was in tears as I read her story. I loved the stories of these women’s lives and how Tricia has woven into them events such as the Jarrow March, the Spanish Civil War and a touching incident in Virginia Woolf’s life when she stayed at an Inn in Wooler whilst recovering from a nervous breakdown. I also loved the warmth, the depth of compassion and dedication she portrays in the nurses’ care for their patients. 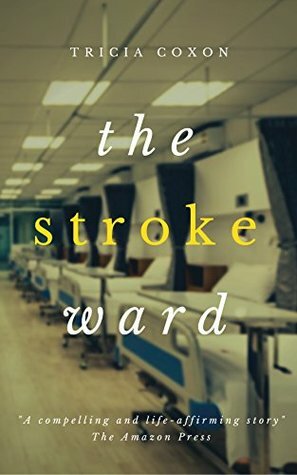 The Stroke Ward is a gem of a book that explores the nature of love and loss, friendship and family, and life and death. I loved it. I think I would like this one. Plan to seek it out. I think you would like it Kay. I’ve looked on Amazon.com and it is available as an e-book for Kindle. I’ve now added the link to my post. This sounds like a powerful read, Margaret. And I really find the premise interesting. So glad you enjoyed it. What high praise, Margaret! This sounds a beautiful book: original and poignant. I hope I get to read it as I’m sure I would enjoy it immensely.